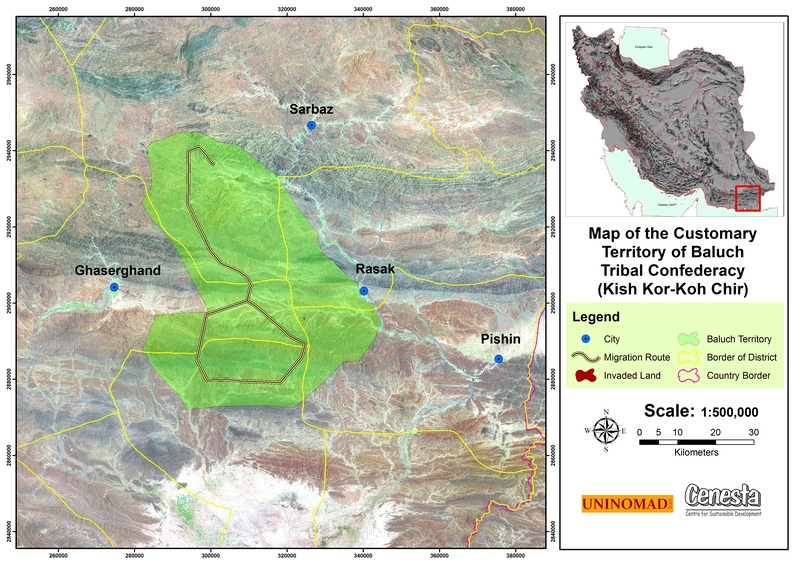 Kishkor-Koohchir (300 000 hectares mostly comprising semi-arid pasture areas), is one of the many ICCAs that can be found in Baluchestan, south of Iran. The Baluch nomadic tribes that are hitting the ground of the Kishkor-Koohchir area are adapting every year their trajectory, in the pattern of a horizontal migration. The role of the men called goolah, who travel in advance through the ICCA is crucial. During the migration the goolah identifies the best area for the livestock to graze, according to the rainfalls, before the arrival of the tribes. Baluch communities have a long-established experience in coping with drought and making the best use of rainfalls. As an example, livestock is taken for grazing in an area only when 1.5 to 2 months have passed from rainfalls, in order to let grass growing enough to optimize the area use. These communities know how to carefully live with their territory resources. They know very well how to use the plant called daaz, to make shoes, braces, toys, but also their traditional houses. They also carefully manage water through a complex system of qanats (horizontal tunnels), hootak (wells) and degars (pools). Baluch culture is as delicate as the environment they live in. 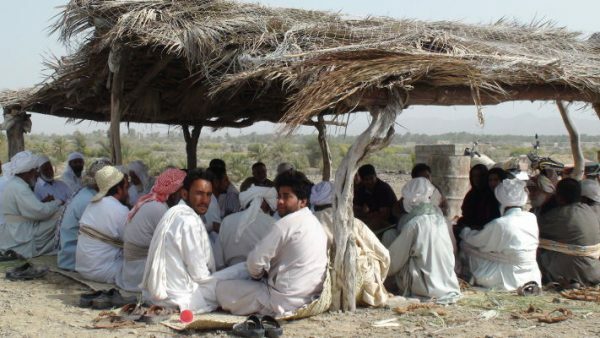 In the past years, in order to find ways to improve their ICCA recognition and enhance collective actions, 15 Baluch tribes got together to create what they called a “committee of founders”. Read more about the history and culture of this zone, about the Kishkor-Koohchir ICCA in this report: ICCAs in Baluchestan. Find more about the entire project on ICCAs recognition and strenghtening in Iran that Cenesta (ICCA Consortium founding member) is leading. For more information on the diverse types of ICCAs that can be found in Iran, please see this overview of ICCAs in Iran.